Congratulations! You are credit approved, apartment is complete and you are ready to move in. But there is more to moving day than hiring the truck and moving furniture. Your apartment complex has already completed a list of required repairs following the move-out of the previous tenant. Those repairs meet their high standard of excellence. 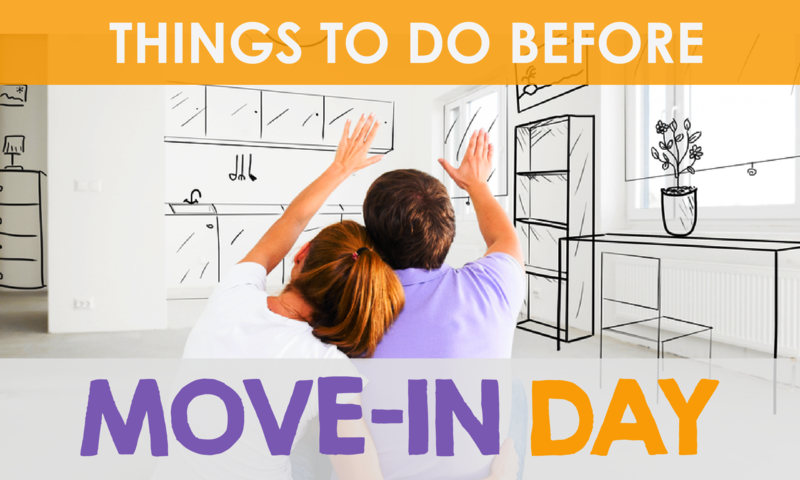 However, to avoid any future issues, make sure you do a pre-move-in walkthrough with the leasing agent. Make note of any abnormalities that you see. Make sure you and the leasing agent agree on the defect, in writing. Note if any such defect will be corrected and the date in which it will be completed; or acknowledge by both parties that the defects will not be corrected. This will benefit both you and your leasing company. Notify your employer of your new address. That will ensure that your important tax documents and other important correspondence are sent to the correct address. Contact all creditors and banks, including retirement accounts, that you have a new address. Sending those items to a previous address could result in fraudulent activity should these documents fall in the wrong hands. Once you have officially completed changing your address with your creditors and banks, it is also important to notify the postal service. Some important documents may already be in the process of being mailed while you are transitioning. By notifying the Postal Service, your mail will be forwarded to you. Most automobile insurance companies provide coverage based partly on how far you travel to work. Living closer to your work could reduce your the cost of your automobile insurance. Check with your provider. If your leasing company does not provide electrical service or water in your rental package, expect to have credit inquiries before a utility company provides service. Depending on the provider, you may also have to pay a refundable deposit for service. A service fee may be charged on the first month’s bill. There are many TV, internet and phone service providers. Contact those so that you understand your obligations. However, unless satellite dishes are provided, make sure you know what you can and cannot attach to the structure. Simply transferring services may not get the result you want. Finally, insure your personal belongings. Damage to your property from nearby apartments, regardless of reason, will not be the responsibility of the leasing company. You will be responsible for the coverage of your personal belongings. That is generally inexpensive coverage for peace of mind. Now, you can order the moving truck now that you have taken necessary steps to ensure a smooth transition to your new apartment.